* free estimates for new heating & cooling systems only, not repairs. Are you looking to replace your current heating and air conditioning system? Perhaps adding to your current system to help eliminate hot and colds spots in your home? You’ve came to the right place! The Climate Control Comfort Consultants look forward to helping you and your family navigate through all of the options to find the best comfort solutions available. We understand that most homeowners have never had to go through the process of buying a new heating and cooling system for their home. We have created a brief walk through of what to expect from our highly skilled Comfort Consultants. 1. The Climate Control Comfort Consultant coming to your home will do a little research beforehand. This will include looking at the layout of your home on the county auditors website and Google Maps. This will help eliminate some time from the service call to make sure you can get back to your daily activities as soon as possible. We don’t want to waste your time, it’s valuable! 2. Our top priority is to make sure your family is made as comfortable as possible with the new heating and air conditioning system. To better achieve this, our Comfort Consultant will sit down with your family to see if anyone has experienced any hot or cold spots, allergies, or general discomfort in the home. This will help us create a plan to alleviate any discomforts. 3. After sitting down with you and your family, the Climate Control Comfort Consultant will walk around your home to check out the layout of duct work. This will include a trip to your mechanical room, crawlspace, or attic to evaluate your current HVAC system. Because of this step our installation team will be better prepared when they arrive at the job site to make sure they work efficiently as possible. At this point our team members will be able to tell if there are any points of heat loss or heat gain that need to be addressed or planned for in the sizing of the system. 4. During the last part of the visit our Comfort Consultant will provide you and your family with an accurate quote for the work that needs to be completed. They will be able to provide you with a detailed walk through of the installation. As part of the quote, you will be shown additions that can improve the indoor air quality and overall comfort of your home. These are extremely helpful in achieving your comfort goals. Depending on your current system, our Comfort Consultant may also suggest other safety devises like a carbon monoxide detector or an HVAC system surge protector. We would be honored if you decided to trust our team to help improve the comfort and safety of your family. Our team is readily available to answer any questions you may have about your heating and cooling needs. 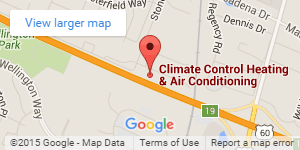 Give us a call at 859-469-4182 or send us an email at service@climatecontrolcorp.com if we can help!